Home | Apologetics | Is “Jesus loves you” the gospel? There is a grave danger, however, in reducing the Christian faith to ‘Jesus loves you.’ The difficulty, simply put, is that ‘Jesus loves you’ is not the complete gospel, and is not sufficient information for genuine conversion. What is more, ‘Jesus loves you’ was not a part of the apostolic preaching (greek-kerygma), found in the New Testament. 1. The Age of Fulfillment has dawned, the “latter days” foretold by the prophets. 2. This has taken place through the birth, life, ministry, death and resurrection of Jesus Christ. 3. By virtue of the resurrection, Jesus has been exalted at the right hand of God as Messianic head of the new Israel. 4. The Holy Spirit in the church is the sign of Christ’s present power and glory. 5. The Messianic Age will reach its consummation in the return of Christ. 6. An appeal is made for repentance with the offer of forgiveness, the Holy Spirit, and salvation. That apostolic preaching did not include ‘Jesus loves you’ as one of its key components, in no way implies that the Apostles thought otherwise. What is implied is that ‘Jesus loves you’ is not the ‘gospel,’ or the apostles would have without doubt preached it as such. If the contemporary church message does not conform to the biblical and apostolic message, we must conclude that it has lost its way, and is in need of correction. It may be difficult for some to reach the same conclusion regarding the ‘Jesus loves you’ message. How could this beautiful phrase be a distortion of the apostolic message? 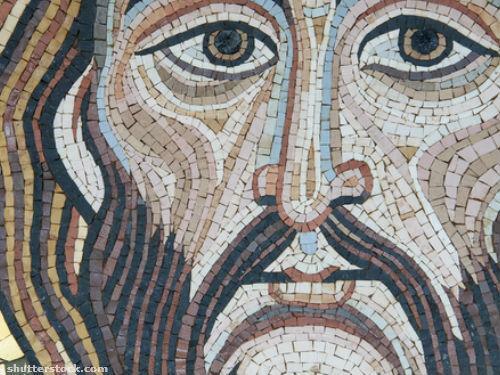 Let’s examine why ‘Jesus loves you,’ presented in isolation is in dire need of correction. 1. The love and mercy of God can only be understood correctly when the foundation of the righteousness of God, humankind’s sin, depravity and corresponding condemnation has been meticulously laid. Without this prior conviction, the mercy and love of God is meaningless and devoid of power. Only when a person understands his guilt, and corresponding damnation, through the mediation of the Holy Spirit, is he ready to conceive of God’s offer of forgiveness through the substitutionary death of His Son. Put another way, to saturate the mind with grace and love before the work of the Spirit exposes one’s absolute hopeless condition, is to start at the wrong end of the story. On the other hand, when a person’s heart is convinced of his utter depravity, his stench before a holy God, and learns of God’s wrath upon him, then and only then does the offer of love and mercy find a true home in his heart. Imagine how many people would volunteer for surgery if they had no knowledge of their illness. A surgeon would be hard-pressed to find patients for surgery if he didn’t first provide evidence of an affliction. To herald the good news of a cure and remedy without a prior diagnosis is like announcing an armistice without having first waged war. Likewise, men must first be convinced of their enmity with God before they can reasonably accept His terms for peace (Romans 5:8). 3. The gospel message begins its proper place with the Law, and man’s inadequacy to fulfill it. The Law exposes fornications, discords, envy, pride, hatred, bitterness, jealousy, and all that is contemptible in the heart of man. Since the Law brings forth knowledge of sin (Romans 3:20), it serves the purpose of transporting a person from a state of relative comfort to a state of affliction. This discomfort is produced by the Holy Spirit (John 16:8), and is therefore evidence that God is awakening the former careless sinner to a place of spiritual reality. When a man begins to feel the weight of his sin and fears the corresponding wrath of God, he is now ready to hear about God’s solution to his crisis. All of his senses clamor for a way to escape his burden. He is ready for surgery. He now pleads with the surgeon to cut him open. “Remove the tumor!” When a man is drowning under the weight of his conviction, he is desperate for the hope of salvation. The Gospel truly becomes Glad Tidings. 4. 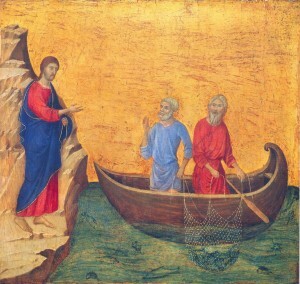 In the first apostolic sermon found in the Acts of the Apostles, Peter’s message left its hearers ‘pricked in their heart’ and asking themselves the question, ‘what must we do?’ Peter said, ‘Repent, and be baptized every one of you in the name of Jesus Christ for the remission of sins, and ye shall receive the gift of the Holy Spirit.’ (Acts 2:38) Repentance is God’s olive branch to the rebel. It promises forgiveness and reconciliation to the sinner craving a new life. It is a lifeboat to the drowning man. 5. Now is the time to introduce and correctly understand ‘Jesus loves you.’ “Herein is love, not that we loved God, but that he loved us, and sent his Son to be the propitiation for our sins.” (1 John 4:10) The cross is God’s unique demonstration of love. The cross reveals both the extent of man’s gloom and God’s inexhaustible love and faithfulness. Jesus the Messiah took both humankind’s sin and sin’s punishment upon himself at the cross (propitiation). Jesus ‘became sin’ (2 Corinthians 5:21) for the rebels, for the wicked, and those that blasphemed him. He paid the penalty for creatures that were utterly undeserving, and could in no way return the favor. This is love. Only when a man has been awoken to his spiritual death can he be raised to spiritual life. 6. Finally, one may wonder why this theological ‘drift’ in gospel proclamation. What has caused the cessation of the Law, sin and condemnation to be an integral part of the gospel message? The title of this category speaks for itself. Many people cringe under the weight of the law and the burden of sin. Instead of repenting and placing their faith in Christ, they direct their conviction at the messenger-who may quickly become unpopular. In many cases if he remains faithful it will cost him his popularity and perhaps his job. The minister has two choices: a. obey the Spirit and the Word (that never disagree with each other) or b. buckle under the fear and compromise the integrity of the gospel. B.Pressure for Affirmation. The modern church is very concerned that everyone feels affirmed. It would be incredibly unsettling in many modern churches for a man of God to preach on sin and the foundational doctrine of eternal judgment. (Hebrews 6:2) It might not seem like the minister is in touch with contemporary culture. It follows that the biblical message of law, sin and repentance may not translate into the church growth model. If the importance of ‘numbers’ outweighs the integrity of the gospel, it may well follow that the gospel is jettisoned in favor of a ‘successful’ church growth model. You are too delicate to tell the man that he is ill. You hope to heal the sick without their knowing it. You therefore flatter them. And what happens? They laugh at you. They dance upon their own graves and at last they die. Your delicacy is cruelty, your flatteries are poisons; you are a murderer. Shall we keep men in a fool’s paradise? Shall we lull them into soft slumber from which they will awake in hell? Are we to become helpers of their damnation by our smooth speeches? In the name of God we will not.